The postie just dropped off a copy of Andrew Crowe’s latest book with our image on the cover. 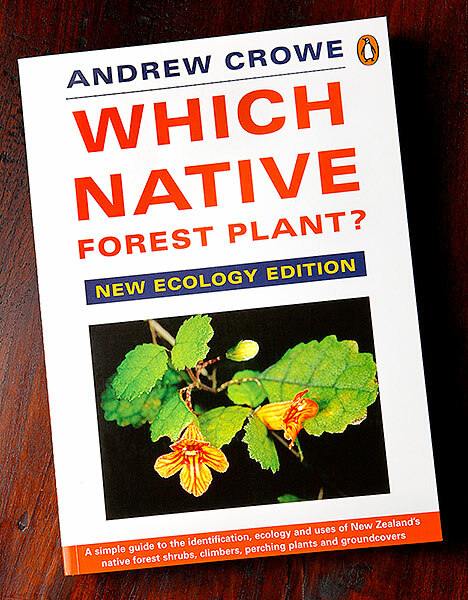 It’s great being involved with quality projects like Andrew’s, and even better when you get to showcase a little known New Zealand native plant. Andrew Crowe has written over 40 titles so far so it’s great to be involved again……. Can you grow this plant in Wellington? According to Andrew’s Book – Yes…. You're reading New book cover image for Monday morning at Nature’s Pic Images Blog.